would that, paired with an adapter for those micro headers work? this one should work just fine, it's STLINK V2.0 compatible. There is only one caveat on this one, the RST line is not the SWD reset line but the SWIM (needed for e.g. STM8) reset line. on mine I soldered a wire to have SWD reset in parallel on the RST line because for some STM32F030 I seem to need the reset line. another option is to get a cheap nucleo board, it comes with STLINK V2.1 and you can even cut away the rest of the board to get a an almost as small programmer. SWD and SWIM are two different debug interfaces, SWD is used for the STM32 line of chips and SWIM for the STM8 line. both have a reset line that the debugger can pull to get the CPU into reset. normally SWD can work without it, using only the SWD CLOCK and DATA lines, but if you e.g. 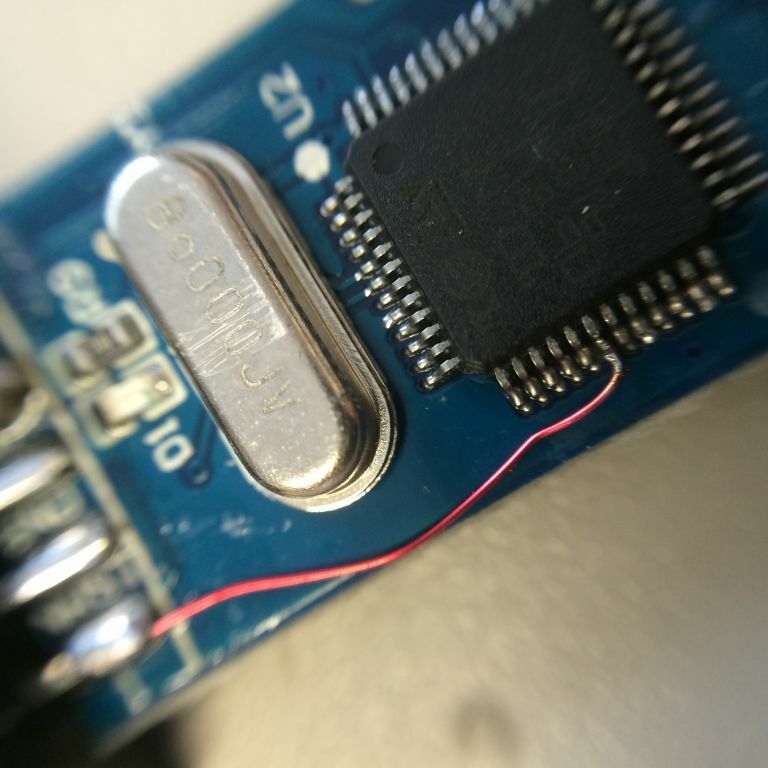 use the same pins for other functions, you need to assert RESET to be able to debug/program the chip. For some reason, on the original STLINK, it's not the same pin used for both functions and the Chinese clones bring out the SWIM reset only because for SWIM it's mandatory. Given the issues other people have had with ebay ST-Link clones, i'd suggest you look at getting a genuine ST ST-Link, & the Sparkfun adapter board. It might cost you a bit more, but they're known to work. WAAT?!?!? you are local...and a namesake?!?!? @gbiz yeah, the few dollar price seems a bit problematic, but i already ordered it, if it goes great, if not, not much harm, i'll order the official ST-Link. thanks! I've bought a discovery board and it comes with a st link as well. It's maybe a bit more bulky and not very as convinient as a small programmer but it does the job. they should all have the same STLINK v2.1, so why not the cheapest you can get? then you can cut off the target and you have compact programmer (and still use it with the target via jumper wires). as a bonus feature, STLINK v2.1 exposes a serial port, so if you need a UART for debug inout/output, that can run that over the same USB connection in parallel. will works almost with all MI modules, less yarns for sure.. and another one that i don't remember now, only a few has only Jtag interface. are you telling me that you managed to program STMs using a basic FTDI usb-to-serial converter??? how? did you use blank STM32 chips or did you do it on bought MI modules? Hi guys, this is my first time programming a microprocessor and I have a few questions. Would the Nucleo board be the only thing I need to buy to program the STM32F103CBT6? Also how do I connect the chip to the board, to I need to desolder the one that's in the board and solder mine on? see the 2 jumpers on the top of the nucleo, next to the crystal. removing these will disconnect the SWCLK and SWDIO lines from the CPU on your nucleo. then you can use the "SWD" connector to access SWCLK, SWDIO and GND of course (there is also NRST there, but most likely you dont need that). if your target board has its own power supply, that's all you need, otherwise you can also pickup 5V or 3.3V from the nucleo to power your board. Would the target board be my braids board with the stm32 chip soldered in or do I need a separate board to program the chip with? looking at Braids schematics, it seems it can be "flashed" in 2 ways, by serial bootloader when you press the button and by JTAG/SWD via the 10pin header. in both cases it can be done with the chip soldered. but I am no mutable expert, so please refer to their forums for more detailed help around that. If you go to the Mutable forums asking for DIY help, you'll get sent back here. To answer the original question, the Braids is the target & yes you program it in-situ. A tip. 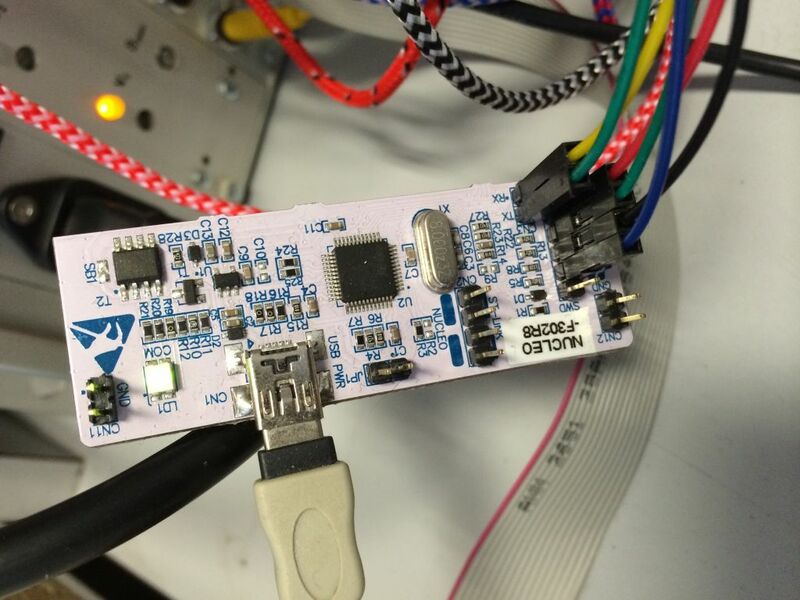 You don't need all the components installed on the board in order to flash the MCU. 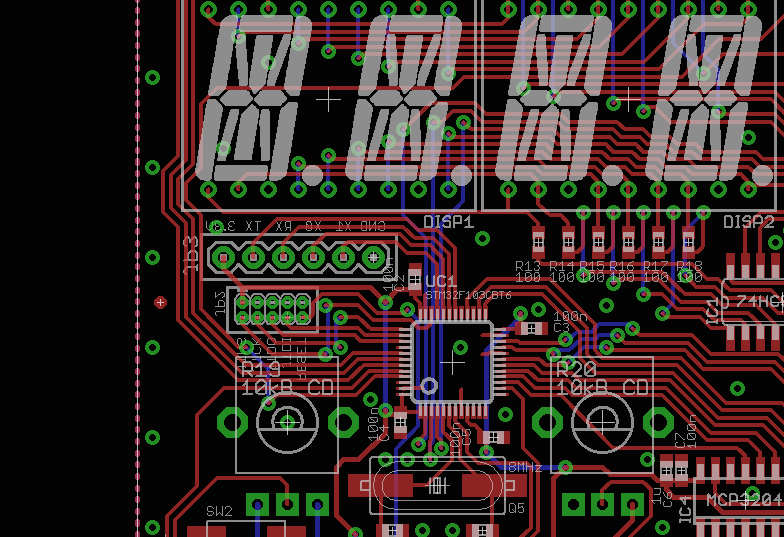 All the SMD components & the headers is fine. Leave off the through hole components like the pots & jacks. If you need to give the board a close visual inspection with a Loupe, it's much easier to do with it partially populated. When you upload the firmware, you'll see from the openocd output if it's been written sucessfully. There's a dedicated thread to Braids here https://www.muffwiggler.com/forum/viewtopic.php?t=120940. Take a read of that. Much of this is already answered in there.